“We called it ‘the space,'” Doré said. He described himself as a close acquaintance of Derick Ion Almena, the man known as the leader of the community, and one of his wife Mika’s close friends. Oakland and Emeryville, Doré said, “were refuges to people in San Francisco who couldn’t afford to live there anymore. So that’s creeping into Oakland. The warehouse was in the ghetto. It’s become more like Hispanic Oakland. The space was a serious attempt to bring the Black Oakland culture back into the art scene,” he said. 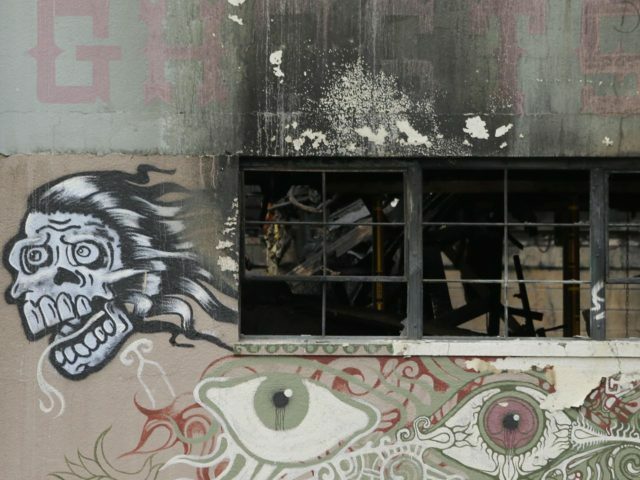 However, the warehouse seemed to have strayed from its original vision after an influx of what Doré described as “lost kids,” whom he called the “Burning Man” crowd, referring to the annual desert music festival. It was also the lure of the reasonable rent, in an increasingly unreasonable housing market, that drew artistic youth to the compound. “The rent was about $2,500-$3,000 a month,” Doré said, although that was not what most of the warehouse’s occupants paid. The “space” was packed with wooden furniture and included questionable electrical hookups and exposed wood throughout. There was no fire alarm or sprinkler system installed, and an unstable staircase made of wooden pallets was also the only way out of the building from the second floor. Doré said one of the women living there, a seamstress, would go around trying to get the occupants to pay their rent. “These people were freeloaders, and Derick could not pay for the space,” which prompted Almena to host events there in order to gather funds. However, he said Almena “didn’t know how to run an event” and would often get ripped off, including by the event’s organizer on at least one occasion. Yet he suggested some of the people who lived in the warehouse “were looking for a Manson in an odd way. I suppose they were trying to pin this on to Derick now because of what happened,” Doré said.